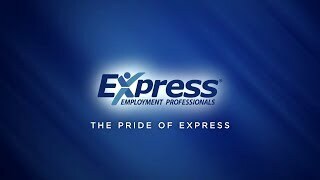 Express Employment Professionals of Huntington, WV is a leading staffing provider helping job seekers find work with a wide variety of local businesses. Welcome to Express Huntington, the trusted employment agency for Huntington’s workers and employers! Whether you’re looking for the next line on your resume or searching for a new team member to add to your business, our staffing solutions will simplify your search. Our staffing experts bring Huntington job seekers and businesses together, helping great workers connect with great employers. With a service area that extends to Barboursville, Ashland, South Point, and Ironton, we take pride in being the premier employment agency in the Huntington, WV, area. If you’re looking for a job in the Huntington area, our employment agency can connect you with part-time and full-time work with some of Huntington’s most respected employers. Our team takes pride in providing job seekers with personalized assistance and support, with a focus on finding the right position for your skills, your schedule, and your goals. Huntington job seekers who turn to our employment agency can find work in a number of fields with our assistance. Our placements include Office Services and Administrative positions, manufacturing and distribution jobs, as well as professional placements for roles in high-demand fields like accounting, legal, marketing, and more. We believe in providing job seekers with full flexibility in their job search, so you will have complete control over the type of positions you would like to be considered for, the areas in which you’d accept placement, and the type of schedule you would like to work. To get started with our employment agency, simply browse our listings for open jobs in the Huntington area and then apply online to become an Express Associate. When it comes to finding workers for temporary and contract positions, the time and money you invest into recruitment can be a drain on your bottom line. What’s more, if you need workers quickly, you could cause a significant delay in your business’s operations. As the trusted employment agency of Huntington’s business community, Express Huntington can help you find the workers your business needs in a quick and cost-effective manner. Our staffing services for businesses cover workforce and professional solutions. Our workforce staffing makes it easy to quickly fill positions in your office or on your production line. Meanwhile, our professional staffing services can help you find accredited contract workers for important roles and positions. No matter the opening, we will work with you to understand your needs, perform an exhaustive search for qualified candidates, and then match your business with a worker whose skills, personality, and outlook align with your business. Call (304) 733-5627 today to learn more about our employment agency’s services for the Huntington area.